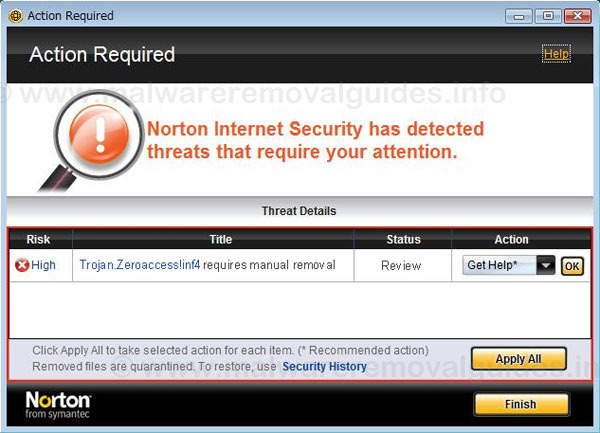 Trojan.zeroaccess!inF4 is probably one of the most difficult infections to remove from your computer, Trojan.zeroaccess!inF4 is a typical detection name of Norton Internet Security. 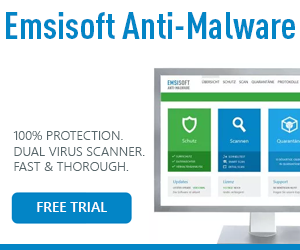 This rootkit is also known as Sirefef, ZeroAccess, Rootkit.0access or Trojan.0access. One of the most common symptoms of Trojan.zeroaccess!inF4 is that services.exe is infected, the rootkit will modify or overwrite this file. Because this is an essential systemfile it can’t be deleted but it must be replaced with a clean copy. Some tools are able to replace the infected services.exe with a clean copy that is present on your computer in the systemrestore points or the “c:\windows\winsxs” directory. 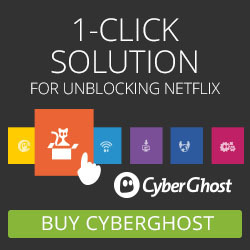 If your PC infected with Trojan.zeroaccess!inF4? Not to worry. 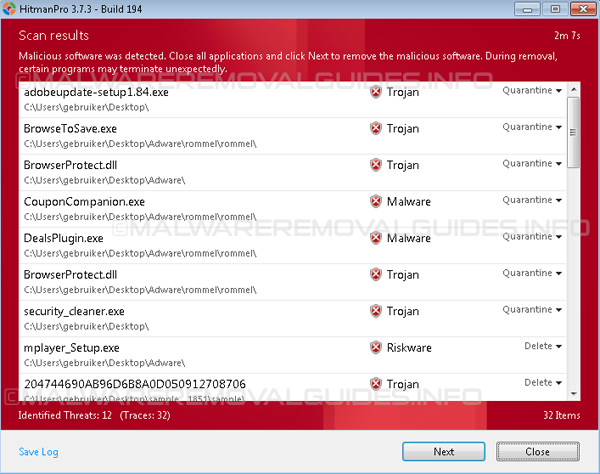 Our step-by-step removal guide and the removal tools below can help you safely remove Trojan.zeroaccess!inF4 from your computer.